Day 2 - not waiting time you will have a trip to Hellenistic temple Garni. It is perhaps the best-known structure and symbol of pre-Christian Armenia. It is the only standing Greco-Roman colonnaded building in Armenia. The other stop at Geghard Monastery, founded in the 4th century by Gregory the Illuminator at the site of a sacred spring inside a cave. Meaning "the Monastery of the Spear", originates from the spear which had wounded Jesus at the Crucifixion, allegedly brought to Armenia by Apostle Jude, called here Thaddeus, and stored amongst many other relics. Now it is displayed in the Echmiadzin treasury. Day 3 - the other amazing day in Armenia, durich which you will go to Lake Sevan, at an altitude of 1,900 m above sea level, the largest body of water in Armenia and the Caucasus region, and one of the largest freshwater high-altitude lakes in Eurasia. The other stop is in Dilijan. Spa town in Armenia. Usually called Armenian Switzerland or Little Switzerland by the locals, it is one of the most important resorts of Armenia. 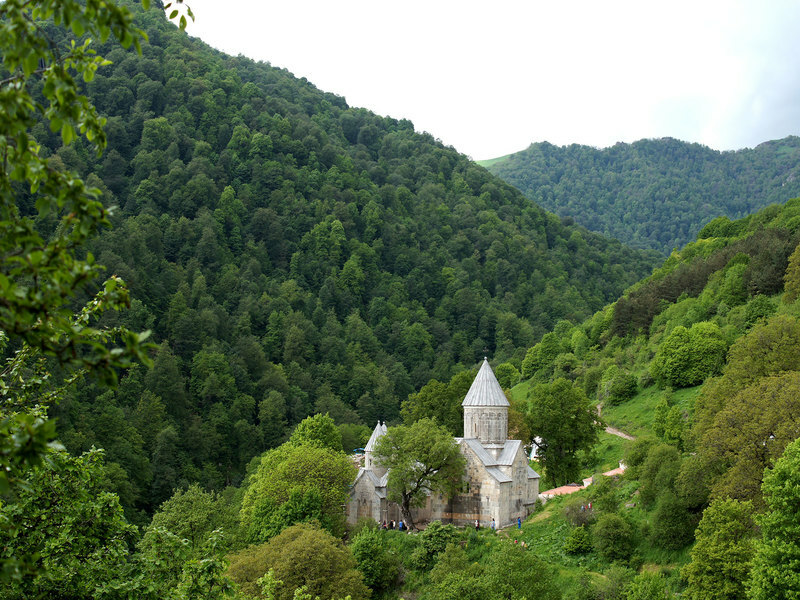 The end of the trip is Haghartsin Monastery - a 13th-century monastery located near the town of Dilijan in the Tavush Province of Armenia. It was built between the 10th and 14th centuries; much of it under the patronage of the Bagratuni Dynasty. Day 4 - trip to Ejmiadzin, visit Mother Church of Armenia and St. Gayane and Hripsime churches. Day 5 - last day and departure home. The price is per person in double sharing room, including breakfas, all transportation during tours, entrance fees, guide serivices, transfer airport-hotel-airpot.